An employee waits to unload valuable merchandise while people line up outside a supermarket in Caracas on Jan. 20, 2015. Cash-strapped Venezuela, which has the second-largest oil reserves in the world, after Saudi Arabia, and relies on oil for 95 percent of its export revenue, has been hit particularly hard by plummeting global prices. Still, it’s hard not to read a commodity-sharing deal proposed by nearby Trinidad and Tobago’s prime minister as anything but humiliating. At a news conference Tuesday, Prime Minister Kamla Persad-Bissessar suggested that her government would “purchase goods identified by the Government of Venezuela from T&T’s manufacturers, such as tissue paper, gasoline, and parts for machinery,” and trade them for Venezuelan oil. It’s not clear if the Venezuelans are open to the deal, but they certainly need the goods. Amid skyrocketing inflation and a contracting economy, Venezuelan consumers have been faced with widespread shortages of products. Nicolás Maduro’s government blames hoarders looking to destabilize the government, but businesses and economists say it’s the result of government price controls that discourage production and restrictions on foreign currency and make it difficult for manufacturers to purchase raw materials. Food, car parts, cooking oil, detergent, and household appliances have all been in short supply. But it’s toilet paper that has been the iconic product of the shortage, with fresh rolls quickly running out from stores amid overwhelming demand. 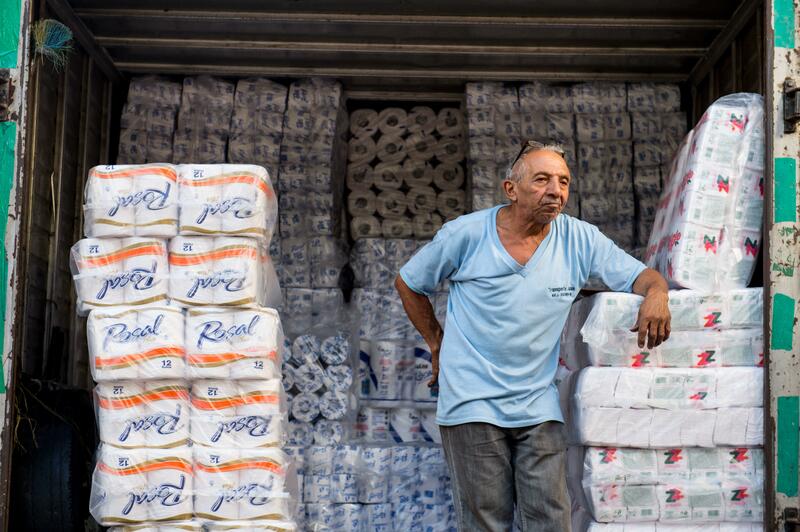 In late 2013 the government seized control of a toilet paper factory and announced plans to import millions of rolls, but shortages have continued. Not unrelatedly, the political situation remains volatile as well. The government published new guidelines in January allowing police to use deadly force against protesters if they felt they were at risk. And police did just that on Tuesday, killing a teenage boy during an anti-government demonstration in the city of San Cristobal. Maduro also ordered the arrest this week of a mayor he accused of attempting to orchestrate a coup. So far, Maduro has been able to avoid major cuts to the popular social programs instituted by his predecessor Hugo Chávez, but as shortages continue, the government’s finances worsen, and the politics get more rancorous, even the Chavista base is starting to have doubts.